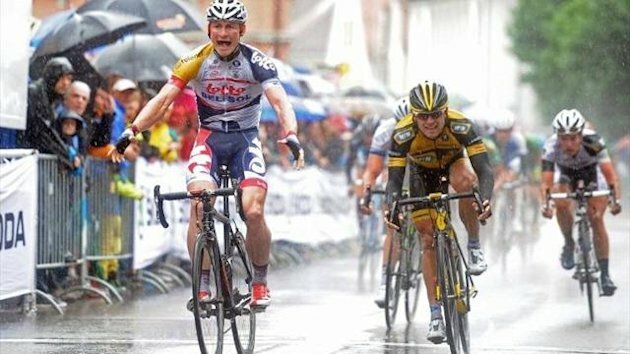 - Andre Greipel is the new German national champ! - Adam [Hansen]'s new shoes for le Tour [the other foot has red lettering]. Yup.